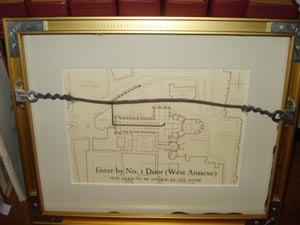 Names are crossed out (only on the website) to protect the privacy of sellers. 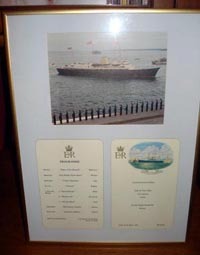 Cards will be in their original condition when purchased. 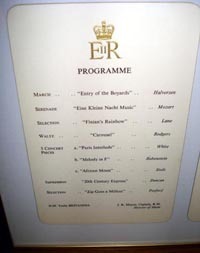 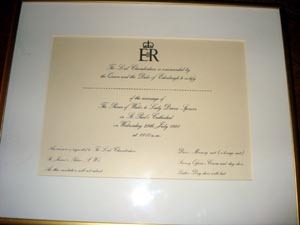 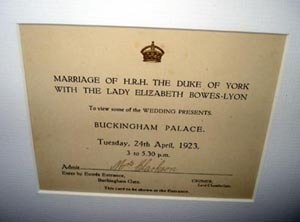 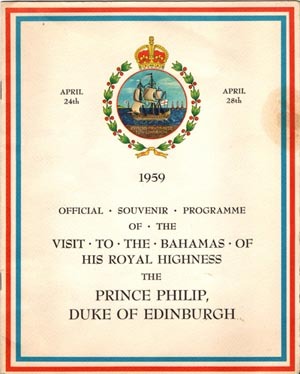 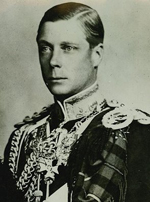 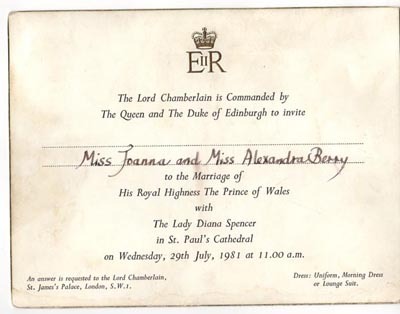 It reads Marriage of HRH The Duke of York with Lady Elizabeth Bowes-Lyon, To view some of the wedding presents, Buckingham Palace, Tuesday 24, April, 1923, 3 to 5:30 p.m.. Admit Mrs. Clarkson, Enter by Entree Entrance, Buckingham Gate, Cromer, Lord Chamberlain, This card to be shown at the entrance. 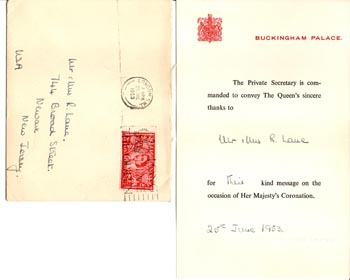 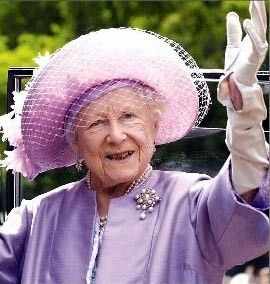 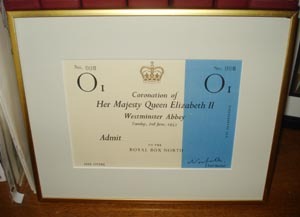 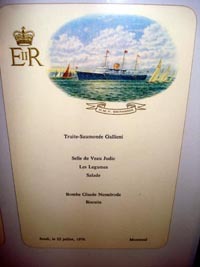 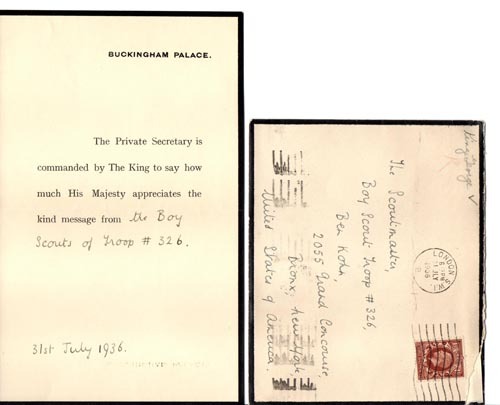 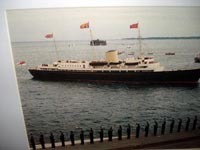 Item 3100 64 year old thank you note from secretary to Her Majesty Queen Elizabeth II. 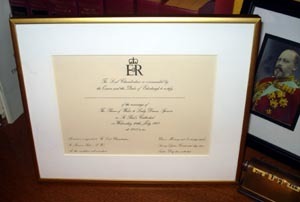 for their kind message on the occasion of her Majesty's Coronation. 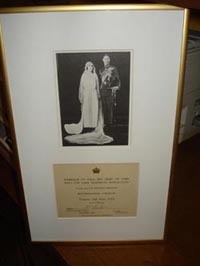 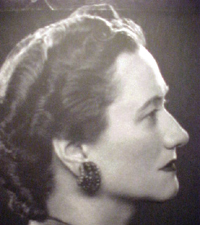 Item 3102 A 60 year old note from the secretary to Her Majesty upon the death of Wallis Simpson, the Duchess of Windsor. 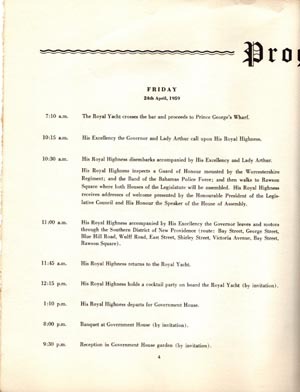 Item 3105. 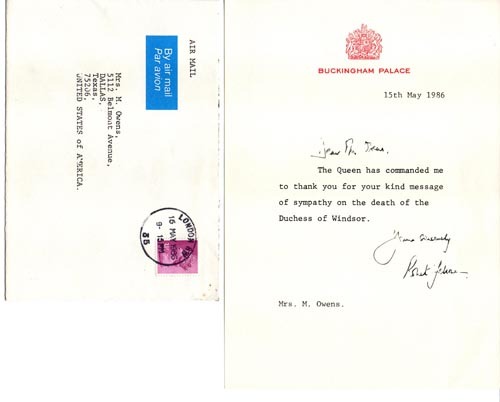 A 64 year old letter from the private secretary to HRH Princess Margaret. 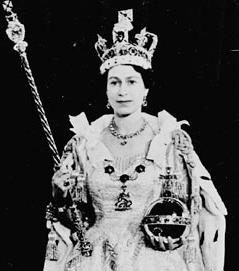 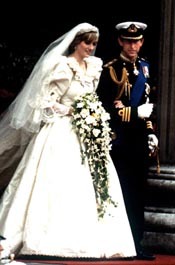 Princess Margaret was 19 years old at the time. 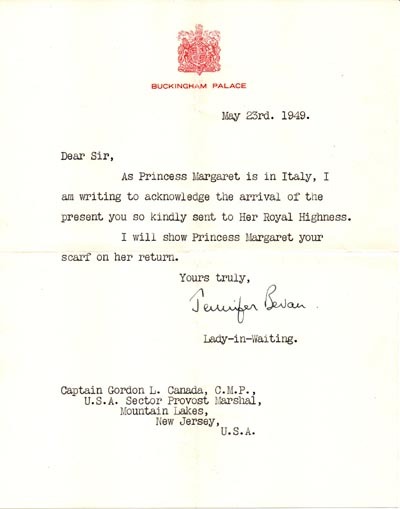 AS Princess Margaret is in Italy, I as writing to acknowledge the arrival of the present you so kindly send to Her Royal Highness. 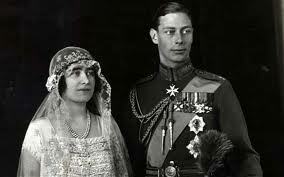 I will show Princess Margaret your scarf upon her return. 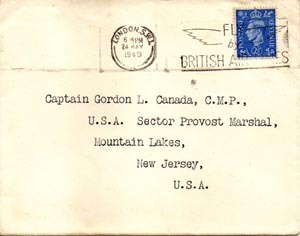 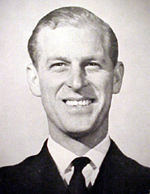 Captain Gordon L. Canada C.M.P.